A single supply contract often extends beyond its main terms and conditions to include schedules for pricing, the statement of work, the bill of materials, maintenance and support requirements, acceptance criteria, etc. 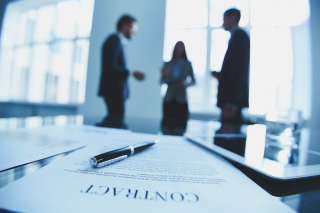 The construction of a contract under a master framework agreement may be even more complex, especially at a group level where several affiliates have the right to contract with you under the master agreement. Many people think that the contract stops at its main terms and conditions. It’s not enough to get the main terms and conditions right if its schedules are contradictory or introduce additional risks, which can happen when the schedules are written by different people. I am experienced at coordinating the writing and review of the entire contract package, ensuring that defined terms are used consistently throughout, that a topic is not repeated across the components of the contract (and therefore contradictory), that references are correct. You have agreed to use your customer’s standard terms and conditions as a starting point for your contract negotiations, but the wording and organisation is different from that of the clauses in your standard template, so it is not that easy to identify the differences, and therefore the potential risks. I can decipher the contractual language for you, identify and explain your supply-side risks, draft modifications and lead negotiation discussions with your customer. You’re responsible for negotiating and drafting sales contracts at an SME in a technology field after having recently landed this responsibility. You’re getting along, although you sometimes have doubts and would love to have someone to answer all of your questions that start with “What is the risk here…What does that clause really mean…What if I change this?” A mastermind program may be right for you. You’re responsible for sales contracts at an SME in a technology field. You negotiate and manage your contracts yourself, even though you don’t have experience in the fine points of contract language. 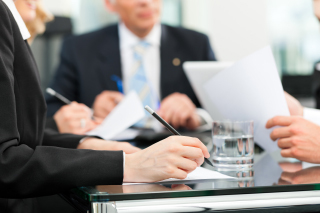 Your business doesn’t use law firms for commercial negotiation for either cost or efficiency reasons. Fourteen years ago, I was where you are. My first morning as a commercial manager for a tech start-up in Sydney, Australia was spent in a negotiation meeting with an established technology company and our external lawyer. Our external legal bill was so high that I was given the task of leading negotiations from that point onward. What followed was a steep on-the-job learning curve about negotiation, legal drafting and contract administration. The next eighteen months were tough as I absorbed information from every source that I could find. Having had others to talk through my challenges and brainstorm solutions with would have shortened my learning curve and given me more confidence in the early days of my role. I am a strong believer in the benefits of mastermind groups, which I have been facilitating for entrepreneurs for the last four years. I wish that I had found such a group in my early years in contract management to provide support that I had sorely needed. Enter your details below if you have a contracting question that you want to discuss without obligation. I’ll be very happy to assist you in your contracting process and find the right solutions for you.